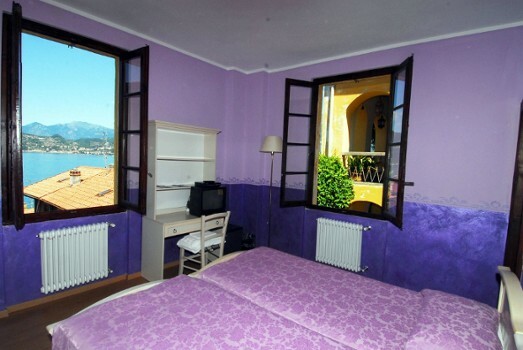 Varenna, an enchanting romantic village, lays on the Oriental shore of the Lake of Como. There, among its characteristic alleys, porches and ancient steps, in a typical old building you can find apartments and rooms for a relaxing holiday. Each apartment is spacious and newly restored with all the conveniences for your confort: tv, dvd player, internet free, phone, microwave, safe and a minifridge. On the top floor there is a terrace for your relaxing moments and romantic evenings. You'll be enchanted by the wonderful view! Next to the apartments there is our "Albergo del Sole" where you can enjoy your breakfast and/or your meals. Children up to 3 years are free, children up to 8 years are entitled to a discount; animals are always welcome. While you are in Varenna don't forget to take a stroll in the elegant gardens of Villa Cipressi and Villa Monastero or to walk along the water with a delicious ice-cream! 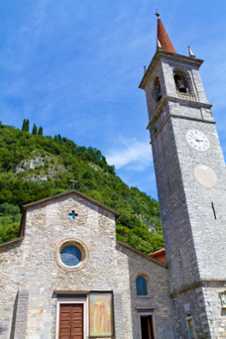 Consecrated on 1313, the parish church of San Giorgio is a small masterpiece of the 14th century Lombardy architecture. Located in the main square, this is a basilica with nave and two aisles embellished by a rose window and a fresco portraying Saint Christopher. The baroque altar, with black and red marbles, was inaugurated on the 1822. 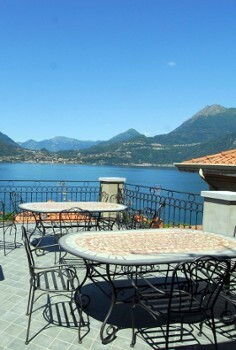 The flooring is entirely made by the black marble of Varenna.